Cluster beans or Kothavarangai is rich in Fibre and low in calories and so is recommended for Diabetics. An interesting fact about these cluster beans is that they help to reduce anxiety and tension. 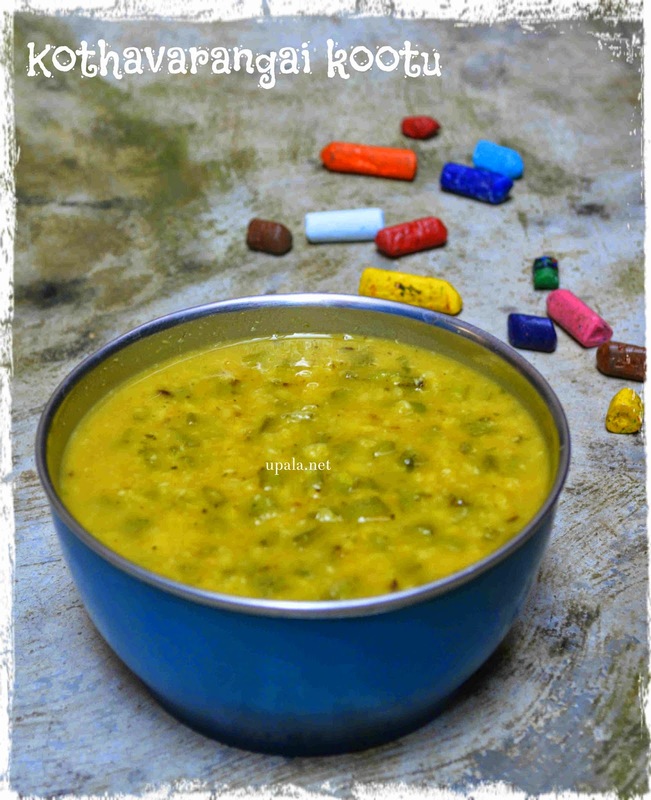 Coming to our recipe, this is a tasty kootu prepared with Yellow moong dal and Cluster beans. 1) Wash and clean the cluster beans, trim the edges and chop finely. 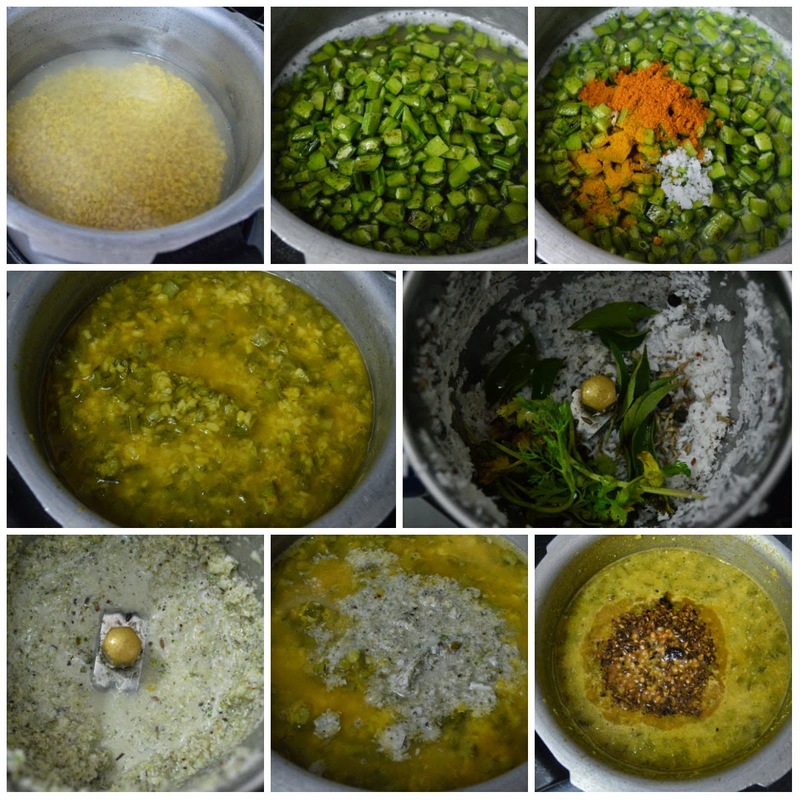 2) Wash the yellow moong dal and add it to pressure cooker along with 1/2 cup water. 3) Add chopped cluster beans, Sambar powder, Turmeric powder, Asafoetida, Salt and a drop of oil. Pressure cook it for 3 whistles. 4) Grind the ingredients given in "For Grinding" to smooth paste. 5) Add this paste to cooked cluster beans and mix well. Let it cook in low flame till froth develops then switch off the flame..
6) Heat Ghee in a kadai/pan and add Cumin seeds to crackle. After it crackles add Urad dal and fry till golden brown. 7) Pour this sesoning mixture over the kootu.